Australian Sports Anti-Doping Authority (ASADA) boss Ben McDevitt has hailed the Court of Arbitration for Sport (CAS) for its verdict on the Essendon 34. The CAS upheld the World Anti-Doping Agency's (WADA) appeal against the AFL tribunal decision to clear 34 players of taking the banned peptide Thymosin beta-4 in 2012. All 34 players - 12 of whom remain on Essendon's list, with another five now contracted to other AFL clubs - have been banned from the sport for 12 months. McDevitt said the players had neglected their anti-doping education and, in agreeing to be injected without making inquiries about what they were injected with, were responsible for the outcome. "This unfortunate episode has chronicled the most devastating self-inflicted injury by a sporting club in Australian history,” he told reporters. 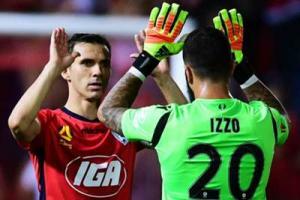 "There were very little grounds for the players to claim they were at no significant fault. "The players had received anti-doping education through the AFL and ASADA, and were well aware that they are personally responsible for all substances that entered their body. "Unfortunately, despite their education, they agreed to be injected with a number of substances they had little knowledge of, made no inquiries about the substance and kept the injections from their team doctor and ASADA. "Of 30 ASADA testing missions during the period in question, none of the 18 players tested declared the injections, despite being asked each time whether they had taken any supplements. "At best, the players did not ask the questions, or the people, they should have. At worst, they were complicit in a culture of secrecy and concealment. "The CAS result brings this matter to a close and ASADA looks forward to continuing to work with all sporting codes to promote a clean and fair sporting environment." 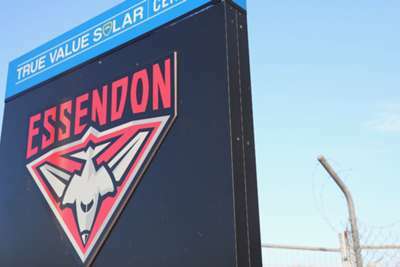 Essendon chairman Lindsay Tanner apologised on behalf of the club to the players for the events of 2012 but said the penalty imposed was unfair. "The penalty imposed on the 34 players is manifestly unfair," he said. "At all times, our players acted in good faith. They sought assurances and were provided them. If ever there was a case to be made for a finding of no significant fault, this was it. "The individual blame game that has dominated debate...is in my view unproductive." "There was a collective systemic failing and it needs to be seen in that light." Tanner said the club respects the decision and will not challenge it. James Hird, who coached Essendon in 2012 and has already served a one-year by the AFL for his role in the scandal, labelled the decision a "miscarriage of justice," while the AFL Players' Association boss Paul Marsh called the decision a "disgrace," adding: "We are struggling to understand how the CAS decision can be so different to that of the AFL anti-doping tribunal."